Sophia thought she was over her broken heart, but the news that her roommate has eloped with Sophia's ex-husband hits her like a ton of bricks. She knows she should be fine with the unexpected revelation—after all, her boyfriend, Luke, is incredible, but it would seem her heart is not as resilient as she thought. And as Luke prepares to leave for his European study abroad, Sophia's feelings of fear and inadequacy threaten to overwhelm her. A summer with her family in Las Vegas gives Sophia the time she needs, but she still can't shake the questions haunting her, the questions that continually threaten to put more than physical distance between Luke and her. Is she really ready to jump into a new relationship when the last one ended so painfully? Will her divorce always define her? Is she the one with the problem? As she wistfully observes others' love stories blossoming around her, Sophia must decide whether she's prepared to take another chance on love. Luke's return from Europe forces Sophia to confront the decision she's not sure she's prepared for—will her troubled past destroy the happy ending of which she's always dreamed? Sophia is 19 years old and has already been married and divorced, which is rare at BYU. 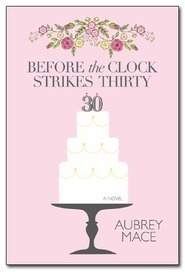 Her ex-husband, Travis, is engaged to her former roommate, Claire, and she learns of their elopement at the beginning of the book. Sophia is currently dating Luke who is amazing but she's nervous to give him her heart because she fears he'll break it and she can't handle that right now. Sophia is likable. She's really young and has a lot to deal with. I liked the growth she experienced throughout the book as she examined her relationship with Luke and the differences between Luke and Travis. Her mother gave her some great advice while she was separated from Luke and that helped her tons. Luke is amazing! He's patient and supportive. Sophia brings up Travis quite a bit and Luke has to be tired of it, but reassures her that he is there for her. It was hard for me to be too frustrated with her because I can't even begin to imagine what she was going through and thought she was smart to make sure she knew what she wanted the second time around so she wouldn't make the same mistake again. So, I didn't even realize this was the second book in this series until I read a friend's review of the first book and thought it sounded similar to this book. That actually makes sense, though, since there were times that I thought we weren't given enough background information about certain events. I wondered how she handled the news of her ex-husband and former roommate dating (and how they met) and then how she met and started dating Luke. There are quick summaries so I didn't feel completely lost but did feel that I was missing out. I would recommend reading the first book prior to this one so it will feel more complete. Having said that, though, this is an enjoyable read and enough information is given that it can be read on its own. There are some great side characters and some humorous events. It is an LDS romance so there are elements of the LDS faith in it but it is a book that anyone that loves a good, clean contemporary romance can enjoy! A story about a character's struggle to love again. Worth Waiting For was a cute LDS romance about disasters and how they can turn into blessings. Though it just might take a while before that's what you see. It told the story of college student Sophia and her hangups from her divorce in letting go of the past enough to see a future love in her boyfriend, Luke. There were roommates, family and friends, engagements, wedding planning, inspirational moments, and one very patient man who wanted his happily-ever-after to be Sophia. Sophia was a great character. She began the story with quite a lot of baggage that made her doubt others, but especially herself. This was her story as she struggled to figure things out. Love and marriage pretty much gave her panic attacks, which made things rough for her relationship with Luke. Luke was a great guy. I liked seeing some of his frustration play out because it felt genuine. I also liked that he was patient and willing to hold on because of how he felt about Sophia. The little dramatics from roommates and family members added some fun twists. I really loved Luke's family and the time Sophia spent with them. There was one part that was rather humorous that still cracks me up and also makes me think how great Luke's mom was. Overall, a good set of characters. I did feel like a missed a little bit in this story having not read the first book, The Skeleton in My Closet Wears a Wedding Dress. Some of the characters weren't necessarily introduced and so I had to figure out who they were on my own or just accept them as being part of the story. I also would have loved a little more from this story. More banter between Sophia and Luke so I could fall in love with him more, deeper characters, maybe some cute interactions with Sophia's babysitting charge, and more intensity to the romance - maybe some swoon-worthy moments or showing Luke's love in more actions. I also felt like Sophia's hesitancy and denial was stretched out a little and tested my patience when she just wouldn't let go and continuously brought up her ex. Having said all that, I still really enjoyed this story. I'd recommend Worth Waiting For to those who enjoy LDS or Christian romance, are looking for something short and cute, with family and romance, but also almost a coming-of-age story as Sophia figures out her life. I remember reading the first book last year and I really enjoyed it, feeling both sorry for and hopeful for Sophia. This book seems to pick up right where the first one left off and you definitely need to read The Skeleton in My Closet Wears a Wedding Dress first to get the full story. Sophia is young--19 and divorced--and is at BYU, trying to get on with her life. She has a new love interest, but just can't seem to get over her past. Love is blooming all around her and she really has to turn inward to figure out what she wants and what she deserves. I did enjoy Sophia, but at times I just wanted her to get over it already. As a more "mature" adult, meaning more experienced and older than 19, it's easy for me to say that, but to be hurt so young isn't much fun, I'm sure. That said, I can understand the length of time it takes for her to process things, but it dragged on in places. The more I think about it, the more I realize that the story took a natural course, instead of being rushed or forced, which is good. Luke is a keeper, if only Sophia can wake up and realize it. There were many humorous moments that had me smiling and almost blushing with embarrassment. I'm prone to awkward situations and klutziness, so it was fun to laugh at someone other than myself. The journey to self-awareness and growth is painful at times, but I loved the lessons learned and overall, I really enjoyed the storyline. Content: no language or violence; mild romance (kissing); moderate/heavy religious elements, LDS, (churchy moments, mild preaching, etc). Clean! I didn't realize this was a sequel until I was writing this review. It can stand alone, but previous dates, and/or other events that were mentioned and not explained make sense now why they weren't explained in this book. That didn't take me out the story though, I still really enjoyed it. I really liked Sophia and I sympathized with her. I thought her inner voice was very funny at times and I appreciated her humor. This is a great book about letting go and putting your life back together, but also taking your time to really know what you want, and Sophia needed that time. I loved Luke, he is a great guy, with mounds of kindness and patience. The other characters were great too. I wish there was more time with Justin, he was very funny and Gretchen was great too. There were some scenes in the last few chapters where I was laughing out loud. Received a paperback copy from the publisher in exchange of an honest review. As a sequel to Johnson's The Skeleton in My Closet Wears a Wedding Dress, this book stands fairly well on its own. Having not read the previous book, the author included enough information from the previous book that I didn't feel completely lost. Having said that though I would undoubtedly have understood and appreciated Sophia's and Luke's relationship better if I had read the first book. Having married young and been divorced soon thereafter, Sophia has a lot of emotional baggage that she struggles with. 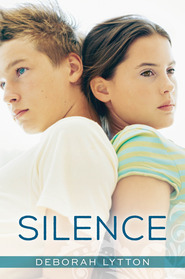 While she is strongly attached to her boyfriend, Luke, she's afraid to express her love for fear of getting hurt again. Underlying it all is her fear that the problem is with her, that she's not good enough to hold on to a guy. Mixed in with her emotional struggles are the issues with her former roommate eloping with her ex-husband, her brother's upcoming marriage to one of her current roommates, and the return of a friend from her mission. I sat down and read this book in one sitting being drawn fully into Sophia's life and concerns. Being an LDS fiction novel there are references to going to church and to LDS beliefs but they are few and don't take away from the story in the slightest. I did like the emphasis on the fact that relationships take work and that if both parties don't fully invest themselves the relationship isn't likely to survive. A clean romance with great characters and a thought-provoking plot that felt real to me and that I thoroughly enjoyed. Worth Waiting For is a quick and cute read. I'll admit that I wasn't immediately drawn in by the book description I read (not the same as what is printed on the book-what I read mentioned the main character's age and it threw me a bit given her situation); however, I'm glad I had some time between the review copy arriving and having read that blurb. The book is a light and easy story with plenty of humor. 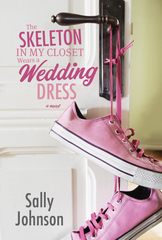 Bits of the story felt familiar right off, and after awhile it came to me that I'd read another book by this author called The Skeleton in My Closet Wears a Wedding Dress. This is a continuation of that story. While Worth Waiting For stands on its own pretty well, I was glad to have had the backstory. I was a bit frustrated with Sophia and how she handled her relationship with Luke. There wouldn't have been much of a story if she'd just been able to move on after her first marriage ended like it did, but I was glad when she finally saw the light. If you are looking for a quick, clean read this summer, checkout Worth Waiting For. Contemporary romance about Sophie and Luke. Sophie is a unique BYU student in that she’s 19 and has already been married and divorced. You don't meet many of those characters on a BYU campus. Now she’s dating Luke James and can’t seem to get beyond her divorce to trust and love again. She cares for Luke deeply and knows in her mind that he’s nothing like her ex, but can her heart ever take a chance on love again. When Luke leaves for a semester abroad in Europe, she will have to decide what to do, because when he comes home, he’s more serious than ever and doesn’t like being compared to Travis, her ex. Cute romance with the theme of getting outside oneself to help others instead of wallowing in self-pity. I really loved the characters, and thought there was the perfect amount of humor and emotional tension woven into this story to keep me riveted.